CRO Kimberly Cook of Hookit presented about Hookit’s unique value proposition for the sports industry at the National Sports Forum including how to calculate sponsorship ROI on February 11, 2018, as part of the NSF Tech Tank. In 2017, brands spent around $136B on sports sponsorship and activation. This number is only expected to increase as the sports industry is projected to be worth $73.5B by 2019. However, only 35% of marketers actually measure their sponsorship impact even though 80% report the need to validate their sponsorship spending. Sports fans are interacting with their teams and players on social platforms more than ever, making it essential for any sponsor to measure the impact of their sponsorship value across both traditional and digital channels. Hookit has been a pioneer of digital sponsorship measurement for over 15 years and is actively tracking 500,000 entities across multiple platforms and data sources. Hookit has the largest sports sponsorship tracking database in the marketplace. 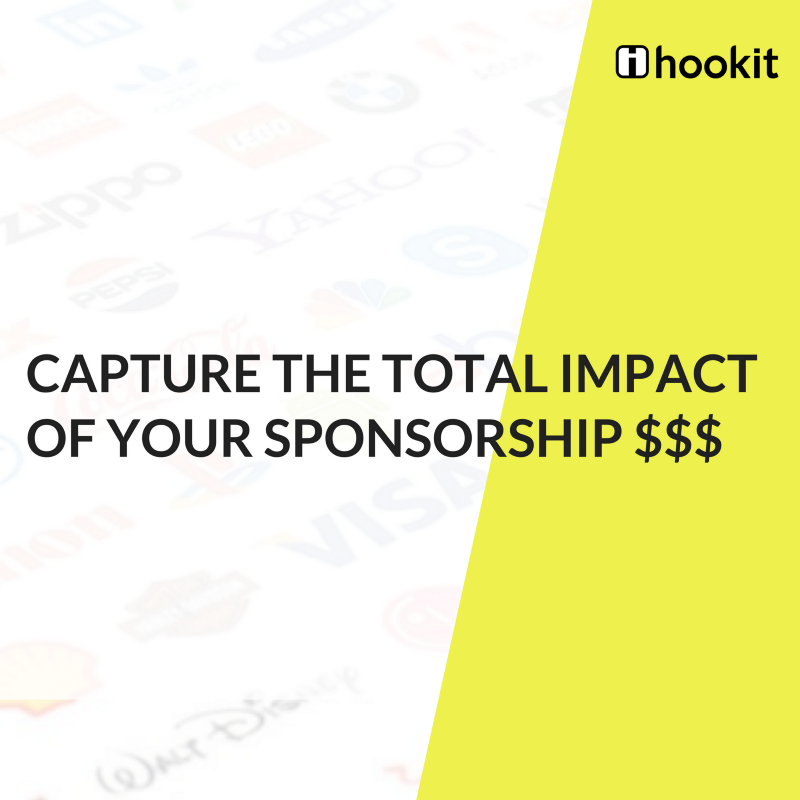 By using the Hookit platform, a sponsor can capture the impact and return on sponsorship dollars and use those insights to gain competitive advantage. Coca Cola vs Pepsi — Coca Cola has 67% more followers and 20x more engagement than Pepsi and promotes more about its own brand. Pepsi promoted more of its sponsor properties & celebrity influencers and grew at the same rate of 4.7% as Coca Cola. 2. 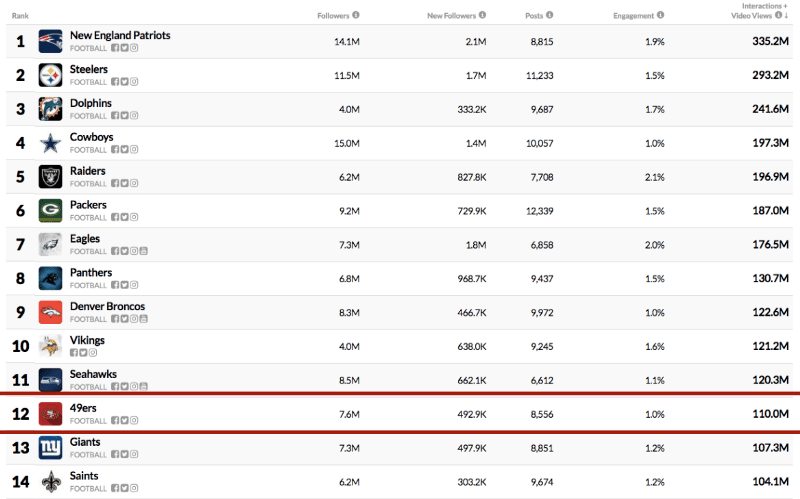 San Francisco 49ers — Among the 32 NFL teams, the 49ers were the 12th overall in social interactions, but had a very low engagement rate (31st overall) with their fans and followers. Interested in how to calculate sponsorship ROI with Hookit? Learn more HERE. Missed Hookit at NSF? You can meet the Hookit Team at the upcoming MIT Sloan Sports Analytics Conference on February 24, 2018 to learn more about how Hookit is empowering sponsors with data driven intelligence.